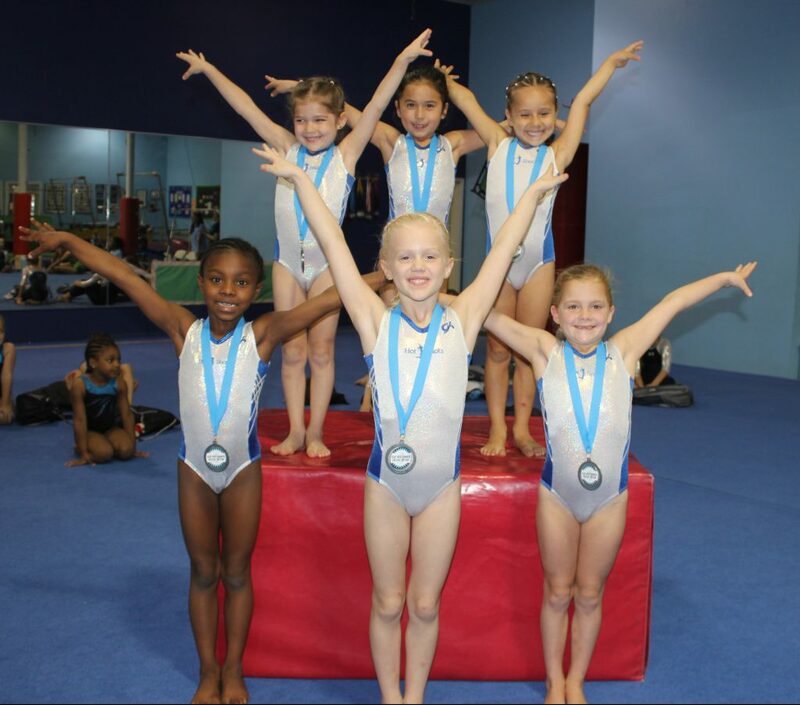 The Hotshots program builds a strong foundation for your daughter’s future in gymnastics, but does not guarantee your daughter will be placed on team. Some girls will funnel to pre-team and others back into rec classes. Being on a team is a much bigger commitment than just the skills. Hot Shots I (3-5 years): Develops basic skills, flexibility, strength, and dance. Days / Times: One day and a regular class. Hotshots II (4-6 years): After a child has a strong base of skills, flexibility, strength, and dance, Hotshot II begins exposing girls to the level 2/3 routines on all four events. Hotshots II’s will have a chance to participate in a mock meet twice a year, December and at the end of the year. Days/Times: Must come to both.